HTC surprises the Android world with an unexpected Android Oreo update. Yes..!! official Android Oreo update for HTC U11 is now live and rolling. This is a stable and official release of Android O. This surprise update is for Taiwanese variants of HTC U11. We guess a global release cannot be far behind. 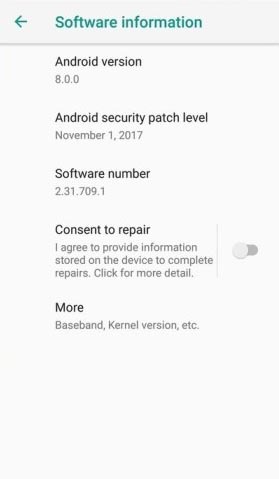 Apart from moving the device’s OS to Android 8, the update also comes with latest November 2017 security patch. The users on Chunghwa Telecom will enjoy an enabled Vo-WiFi. The update is primarily rolling in the Taiwan region as OTA update. The Android 8.0 Oreo RUU firmware is also available. We have listed the direct download link to the firmware. The latest Android OS update brings the firmware build number 2.31.709.1 for Taiwanese variants of HTC U11. The OS update weighs in around 1.3 GB. With Android 8 now on HTC U11 users can enjoy various features like Autofill, picture-in-picture, notification dots,multi-display, notification channels etc. This update brings the major Android OS upgrade to Android O. This also updates the device security level to latest month’s security patch. Let’ see the updates and changes at a glance. 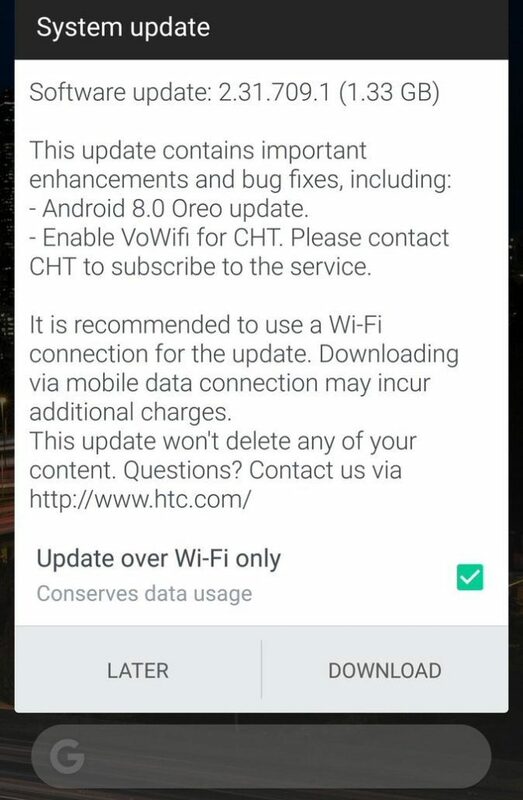 We are providing direct download link to the official Android 8.0 Oreo Firmware for HTC U11. This is an OTA update and not the complete RUU EXE firmware. You will need to apply OTA update using stock recovery. You may also try the HTC Sync Manager | Download to download the latest update. Read: How To Install Full Stock Firmware on HTC? How to Install Android 8.0 Oreo for HTC U11 using 2.31.709.1 OTA update file? Step 1. Make sure you have installed the base update prior to Oreo OTA. Step 2. Download the Oreo OTA file or from the download section and transfer it to your phone’s internal storage. Step 3. Reboot your HTC U11 into Recovery Mode. To do so, turn off your device completely and then press and hold the power and volume down keys simultaneously for a few seconds. Select Recovery if an option is available. Step 4. From the stock recovery select Apply Updates from phone’s storage and then navigate to the OTA zip file and select it. Step 5. Confirm the operation and sit back while the installation proceeds. Alternatively, If the above procedure fails for you, then you can try the ADB sideload method given below. For this method to work, you need to setup ADB and fastboot environment on your PC, reboot to fastboot mode, connect your device via USB, and enter “adb sideload <filename>.zip” command via terminal or command prompt. For a detailed tutorial on how to install OTA update via ADB sideload, head over to this tutorial for detailed steps: How to install OTA updates on Android device using ADB sideload method. OR, here is another tutorial: Update Moto to via OTA Capture. Therefore, this an unexpected step from HTC to upgrade U11 with Android O. So, don’t miss this one. Also, now you have the firmware in case OTA rolls late for your device. So, enjoy Android Oreo update for HTC U11 and let us know your experience. How to download Oreo OTA update for HTC U11? Your HTC U11 will automatically capture the OTA when it rolls. However, you can manually download the OTA and update HTC U11 to Android O. Go to your device Settings > About device > Software updates > Check now. Click System Update to begin the installation. Since the OTA update weighs more than 1 GB in size, get along a strong Wi-Fi network to download it. Stay connected to AndroidSage for all the latest updates on Android 8.0 Oreo rollout for various devices. Android O for more devices is rolling soon.